Halyard Hi Guard Regular Full-Coverage Boot 69671 offers shoe and lower leg coverage. Protective 3-layer fabric. 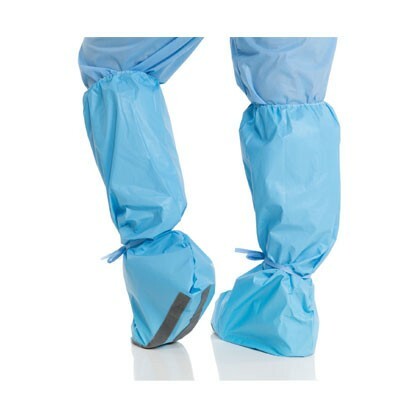 Coated fabric on foot area. Adhesive traction strips. Exposure anticipated: potential for moderate fluid contamination with splashing.